The 1975 survey how social media fuels jealous head games and romantic angst on their pulsating new song “TOOTIMETOOTIMETOOTIME.” Frontman Matthew Healy recounts missed phone calls, suspicious text messages and Instagram “likes” throughout the track. “I only called her one time, maybe it was two times/ Don’t think it was three times, can’t be more than four times,” he sings in Auto-Tune over a steady kick drum pulse, pitch-shifted vocal samples and watery synth chords. “Think we need to rewind; you get that boy sometimes/ Must be more than three times.” The track gradually builds its arrangement, weaving in funky electric guitar lines – but its simmering dynamic structure subverts the obvious loud-quiet verse-chorus pop format. “TOOTIMETOOTIMETOOTIME” is the second official single from the British quartet’s upcoming third LP, A Brief Inquiry Into Online Relationships, following “Give Yourself a Try.” The band also recently previewed the record with “Love It If We Made,” which calls out President Trump’s relationship with Kanye West. 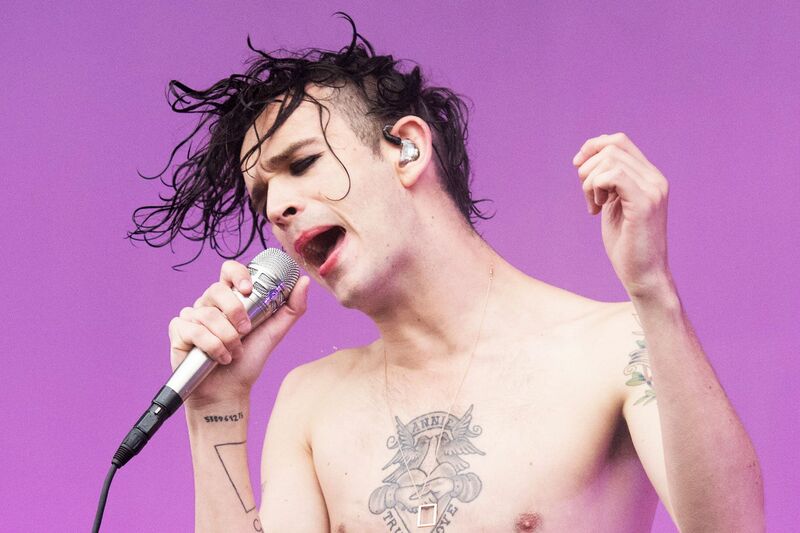 The 1975 have yet to announce an official release date for the project, though they’ve teased a November timetable.